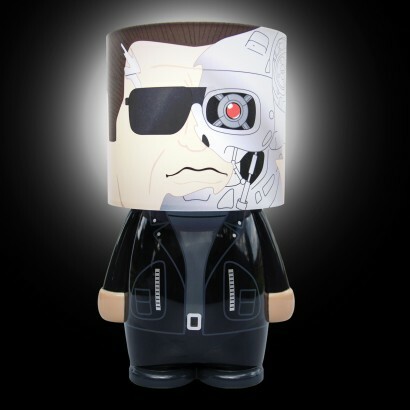 Say "hasta la vista" to the dark and pay homage to Arnie's most iconic role with the Look-Alite Eliminator mood light. 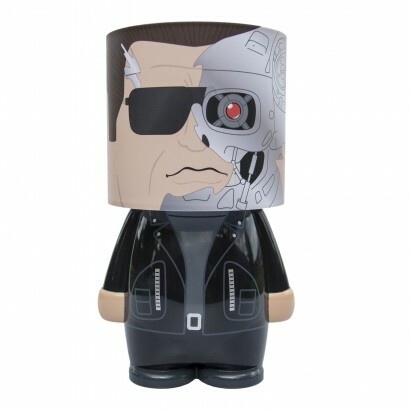 Terminate darkness and create a cosy atmosphere with a single white LED shining from this quirky mood light designed to look just like the Terminator. 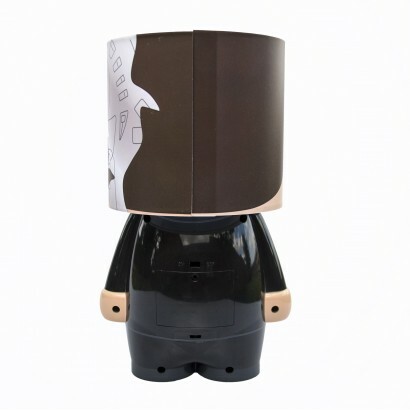 The cute body of the lamp becomes the full biker get up of Arnold Schwarzenegger's futuristic cyborg whilst the shade becomes the face complete with dark shades, and red laser eye; perfect for children of the 80's and man caves!